Heading to the CAFE Challenge..
Well, with only 10 days to go before the start of the 2011 cafe challenge things are really starting to heat up. The Pipistrel Taurus G4 has now flown just over 50 hours and is really showing its potential to be the strongest contender in this year’s competition. Nothing however is cast in stone and something as simple as a flat tyre could take you out of the competition. Our team is descending from all corners of the globe to represent Pipistrel, offer support encouragement and technical/mechanical services throughout the event. It is our intention to update this blog on a daily basis including photographs, videos, gossip and any other interesting information we come across. It would be great if you could join us for this journey, although it only takes seven days it is going to be an exciting ride with lots of ups and downs, trials and tribulations. I am really looking forward to it and I hope you are too. Please check back on a regular basis to get all of the latest information and updates starting from 21 September, 2011. This video shows a quick circuit around the Oshkosh regional airport in Wisconsin. The Pipistrel Taurus G4 is being flown by Dave Morss. Here are some mouth-watering snapshots of the Taurus G4 flying its test campaign before the race. The G4 is being piloted by Robin Reid during this photo-session. Thanks to Gregor Veble for the photographs! Take-off and landing in high winds, pilot is Robin Reid. Today is Wednesday, 21 September and our team has mostly arrived into the USA and descended on Hollister airport which is approximately 70 miles South of San Francisco. Hollister airport has been our base for the last four weeks as we continue to extend the flight envelope for the Pipistrel Taurus G4 aircraft. With almost 50 hours flown in the USA the aircraft has completed its test flight program and is undergoing the final tweaks in preparation for the upcoming cafe challenge. On Friday or Saturday of this week we will fly the aircraft some 150 miles from Hollister airport to Santa Rosa airport where the cafe challenge event will take place. As I sit here updating the blog I am surrounded by every aviators most-wanted toybox. 2 feet behind my head is an Albatross L39, out the front of the hanger is a T6, next door is a P 51 A series and only 10 feet away is a Wiraway, the Taurus G4 is currently being charged and is drawing almost 50 Amps after this morning’s successful flights and the day is really heating up to be very close to 100°, just like yesterday. The unofficial weather forecast is for another week +90° temperatures which makes for good weather and stable flying conditions but it is extremely hot working around the aircraft and the hard stand but inside the hanger and out of the Sun offers comfortable relief. It’s hard to believe that all of the hard work completed previously by team Pipistrel has finally come to fruition with the aircraft arriving today at the beautiful Santa Rosa airport. The flight from Hollister took a little over 1.5 hours, the air was perfectly calm with barely a bump and without much fog we had a fantastic view of San Jose, San Francisco and the Goldengate Bridge could even be seen sticking out of the only area of fog in the Bay. The morning started early and it was quite cold on the ground but as soon as we were up an airborne and passing through 200 or 300 feet the air temperature instantly rose to around 97°. It is really amazing how the inversion layer works on the west coast of the USA. Below the inversion layer you need a jumper, above the inversion layer you needed a cool drink. The Pipistrel Taurus G4 performed faultlessly, at the controls was our lead pilot Mr Dave Morss to finally comfortably sat back and enjoy the ride after many, many months of endless flight testing, calculations and other sorties this was really his first time to be able to sit back and relax and enjoy the aircraft and the surrounds in perfect conditions. Arriving at Santa Rosa we have been directed over to the Sonoma jet centre whose hospitality could not be better. We are utilising one of their large hangars normally reserved for corporate jets and it was our first opportunity to meet two of the other teams in attendance. I will have more information on the teams when I get a chance to go out and talk to everybody and can pass on the facts and figures. This first interview with Dave Morss talks about the Taurus G4, the flight qualities and asks the question…. What does such an unusual aircraft fly like ?? The 2011 cafe challenge is underway and all contestants are required to check in and undergo complete paperwork review which includes checking all of the aircraft documentation, registration, weight and balance, pilot information and most importantly insurance. from left to right we have Michael, Fritz, Vit, Dave Morss (pilot), Tine, Ivo Boscarol (owner of Pipistrel), (kneeling) Gregor, Jure, Robin (copilot), Kirk, Jack (team leader), Franci, Vance, Mojca (Billy Bond). It is unfortunate but it looks like the team from Embry-Riddle Aeronautical University in Florida has been forced to withdraw from the competition. Unfortunately this reduces the competition from four aircraft to three aircraft. I haven’t had a chance to talk to the team leader personally but I am sure all of the team would be disappointed. The team is made up of university students and in my opinion they have done a great job in getting this far. Hopefully they will be able to participate in the competition even though they will be ineligible for the prizes. It would be great to see how their Rotax powered hybrid engine would compare to other aircraft in the competition. More information and hopefully an interview with a team leader to follow. In this short interview Pipistrel’s Tine Tomazic explains how cafe are testing the Pipistrel Taurus G4 aircraft by putting a load on the power cell to validate its capacity. In this interview with Jim Lee who is pilot of the Phoenix aircraft we talk a little bit about his aircraft and expectations for the competition. Jim is flying a standard Phoenix aircraft powered by a Rotax 100 hp engine. Pipistrel Co-Pilot Robin Reid talks about his preparation for the event. In this interview with Mike Friend from Boeing we discuss his interest in electric aircraft, the current technology and the future direction for electric aircraft. With support and pressure from the other teams in the green flight challenge team Embry-Riddle which had been officially disqualified from the event is now able to fly in the competition as an exhibition aircraft. This is great news for the team of mainly university students who have worked for almost 2 years on the project. At least now we can see the potential and capabilities of their aircraft even though they will not be eligible for any prizemoney in the competition. I believe that all teams congratulate the organisers of the 2011 cafe challenge for allowing the team to continue in the flying events. Many people have asked why the team was originally disqualified and I can now report it was a combination of two things, firstly the aircraft did not have the ballistic parachute fitted which is a requirement of the competition rules and secondly, if you have a two seat aircraft it needs to be flown with two people. This Embry-Riddle University team has to also follow very strict rules and regulations from the University and this meant that only one person was allowed to fly in an experimental aircraft. Their intention to ballast the aircraft with enough wait for the second person was disallowed by the organisers. How much do you weigh ?? Probably the most important task in the cafe challenge is weighing the aircraft. The aircraft is weighed for a number of reasons but if it was running on gasoline/petrol then this would be the only way to know the fuel consumption. Before a particular task the aircraft would be weighed on the scales full of fuel, as soon as the aircraft returned from a task it would be re-weighed and the difference is calculated to be the amount of fuel used. The electric aircraft must also be weighed along with the pilots and all of the equipment (what we call removable ballast) this is also vitally important for the competition because it could be an unfair advantage if the pilot arrived on the day one weigh-in with his pockets full of lead and then flew the rest of the competition at a lighter weight giving the aircraft an unfair advantage. We also look at how they calculate the field of view with a very simple but accurate instrument using a laser pointer. Today was a very busy day starting at 8 AM with the pilot briefing and the fog leaving the area at around 9.30 AM. The first task of today was to accurately weigh all of the aircraft and complete the field of vision testing. Most of the aircraft took around two hours to complete the weighing procedure which seem to be much quicker than in the previous two events. It is hard to make most people understand the complexity and the accuracy when the aircraft are being weighed but this is wholly the single most important task of the whole event. Around 2 PM in the afternoon the aircraft were ready for the first competition of the 2011 green flight challenge. The task for this afternoon basically involved two requirements and that was to take off the runway and clear a 50 foot high imaginary obstacle in less than 2000 feet from brake release. At the same time all of the aircraft were measured at different locations along the runway for their noise output. One of the reasons we are having this type of competition is to try and make aircraft as quiet as possible to avoid pressure by residential housing at shutting down local airports. To the best of my knowledge from my vantage point I believe that all aircraft passed this test successfully and I must say the noise they produced was marginal when compared to regular airport traffic taking off and landing. After the event aircraft were returned to be secure compound where maximum of four members of each team were able to work on the aircraft by recharging the batteries, downloading any information out of data recorders and also in the case of the fuel powered aircraft re-fueling for tomorrow’s competition. The forecast for tomorrow is for a high of around 90°F, a cool start to the morning with the usual fog hanging around the area until around 9:30 AM after which it warms up nicely! Team Embry Riddle with their Hybrid Rotax/electric powered Stemme Aircraft. An interesting interview with Lori Costello talking about their aircraft which was developed by University students. In this interview Kirk explains the importance of accurate weather predictions to get the best performance during the challenge. Interesting viewing. Here are some really weird photos taken from the cockpit by Robin Reid during the first race. These photos demonstrate the new Pipistrel liquid propeller technologies! ….. The information from our data loggers is dropped into Google Earth and clearly shows the flight path in blue going around the Geyser Peak Mountain turnpoint on the 4 separate times we passed this location.. Using the data loggers allows us to make sure our tasks are completed properly and within the competition parameters. The data loggers record EVERYTHING every 5 seconds including lat, long, speed, altitude, sound from the engine and a dozen other pieces of information that can be reviewed for accuracy after the flight. All the data is encrypted into a special file format that cant be modified for security of the data. Today, Wednesday is a lay-day in the event. It is an opportunity for teams to review the previous day’s competition and it is an opportunity for the organisers to make sure all of the data collected was accurate. The aircraft remain impounded all day with the only activity allowed being recharging the batteries. Hopefully I have all this right but the official name for the event is the Green Flight Challenge 2011 sponsored by Google, Google’s donation and sponsorship has allowed the CAFE Foundation to make many improvements to their facilities including fitting the large charging stations needed for recharging the electric aircraft. NASA’s role offers the prize money for the event as part of the Centennial challenge programs and coordinating all of this is the CAFE Foundation who run and oversee the competition, record the data and ultimately declare the winner. Tomorrow we have the speed run which is a very important part of the event and there are some slight concerns of the weather changing. Over the past days we have experienced temperatures in the mid-to high 90s, clear blue sky and the wind probably no more than 5 to 10 kn after lunchtime with all morning being absolutely calm. Tomorrow morning we are tasked with getting the competitors away as early as possible because a weather change is expected at around lunchtime with overcast conditions and a high probability of rain in the afternoon and following days. Day 3 Interview with Jack and Kirk about weather planning, calculating the most efficient way of flying the course. What do NASA do ?? This interview with the NASA press crew explain their roles in liaising with media and promoting the Green Flight Challenge – sponsored by Google around the world. it takes a lot of work to recharge and electric aircraft for the first time this year power has been brought in from the mains Street supply through a number of different converters into a new substation which has been designed to safely reduce the voltage and distribute the power to recharge the aircraft. Here Tim Seeley explains the process of recharging the aircraft. NASA TV is here recording the event for their media channels. Today NASA TV interviews team leader Jack Langelaan and Pilot Dave Morss. Today is Thursday and the final race day. Because of fantastic weather throughout the event there have been no delays and the teams left this morning for their final round of competition. All did not go as expected with team Pipistrel taxiing out to the runway only to discover they had picked up a thorn in a tail wheel during the taxi resulting in a flat tire. Obviously the aircraft would have been uncontrollable with a flat tail wheel so team members race back at top speed to get a spare tail wheel which was located in our trailer of spare parts. Racing back out to the start line they managed to replace the wheel completely and get the aircraft away with about 2 min delay from the scheduled departure. Unbelievable how quickly they could replace the tail wheel without extensive delay. The tail wheel which was removed was taken immediately into secure compound and when the aircraft returns from the competition the tail wheel which is on the aircraft will be removed and measured alongside the tail wheel which was replaced. Any differences will be either added or deducted to the payload but I have been told they are identical items and there will be no difference to the weight measured. As I am updating the blog the aircraft have just completed the first lap of for so I would expect they will be back on the ground in approximately one and a half hours time from now. Friday GFC 2011 sponsored by Google Competition update. During a down day engineers and pilots entertain themselves in unique ways. Pipistrel organised the green cart challenge which is now known as the GCC, two teams were given stock standard golf carts and one hour to use their imagination and technical skills to upgrade the carts to their full potential. The race was made up of two separate challenges, firstly, an obstacle course made up of off-road and tarmac racing. Each team consisted of four members who used their combined skills for a lap around the treacherous and demanding course. The second challenge was an all-out drag race (not wearing women’s clothing) but a test of the golf carts tremendous top speed and people carrying capabilities. Loaded with 1000 kg of Pipistrel engineering muscle the cart struggled off the line with its front wheels barely touching the road but still managed to outperform team eGenius who were left in the dust in this exclusive event where time elapsed per passenger really did matter. Team Pipistrel’s modifications included a very elusive flux gate capacitor, two vortex generators, additional lights for Pacific fog, exclusive go fast flames, a special stability rudder on the rear, ballistic rescue system and unique vortex generators on the front cowl. The team also utilise the power of fluffy pink slippers which provided optimum grip and feedback through the pedals for the driver. Team Pipistrel’s upgrades proved to be far superior to that of the competition and they were left choking in the remains of burning rubber from team Pipistrel’s 12 miles per hour race cart. Erik Lindbergh said on the blog of The Lindbergh Foundation that the first annual Lindbergh Prize for Quietest Aircraft will be awarded at the NASA Green Flight Challenge being held this week at Charles M. Shulz airport in Santa Rosa California. Final Day @ Santa Rosa Update…..
After a very exciting week of competition the event is closing today at Santa Rosa with an open day for the public. At around 2:30 PM as I write this blog I would guess some 500 or 600 people from the general public have been through looking at the fantastic aircraft on display. All asking questions about new technologies, speaking with pilots and team members. I even saw some scouts getting signatures from the various team members which I thought was great. NASA have given away boxes of stickers and it has sure been a successful public day. At around 12:30 PM there was an official ribbon-cutting ceremony for the first electric aircraft charging station in the world. This technology which we have utilised all week to charge our aircraft was officially opened by many of the dignitaries including the entire CAFE board. Tonight is the gala black-tie event…. (okay, I lie) it is long pants and a clean shirt (which may be something in short supply after a week racing around looking after aircraft, laying in the dirt etc) The celebration this evening helps build the excitement for this coming Monday when results of the 2011 green flight challenge, sponsored by Google are released. Tomorrow, Sunday will see all of the teams flying from Santa Rosa down to NASA’s Moffett airfield near San Francisco International airport. The planes will be on display throughout the day with a couple of local flights also expected from each of the teams to show off the best aviation technology currently being flown. I understand that each team will be making a fly past along with the Pipistrel Virus SW which was the aircraft which one the previous two competitions along with a noisy like lycoming powered aircraft to show how far we have progressed in only a few years from general aviation aircraft to the super quiet Pipistrel Virus and then finally todays electric aircraft. Mid-afternoon will be the big presentation where NASA awards the successful entrants in this year’s Green Flight Challenge. Up until this announcement all of the results are kept secret and it can be anyone’s guess as to who was successful in the event. Team Embry Riddle were disqualified on day one but flew in the competition to test and demonstrate their technologies, a big thank you to the organisers for allowing this to happen. It is generally expected that the leap between gasoline powered engines and electric engines is just too big at the moment with the expectation that hybrid powered aircraft like theirs will be the stepping stone to new technologies, it will be really interesting to see their results. The Phoenix which is powered by a regular gasoline engine is expected to do well in some areas of the competition but may not be a contender for the top prize money because it would be impossible for them to meet the very strict 100 mpg requirements. This leaves team Pipistrel-USA.com and the team eGenius as the two teams expected to fight out for this year’s top honours and hopefully qualify for a portion of the significant prize money available. It is hard to forget that this is the richest prize in aviation history! It is also hard to forget the investment by the individual teams in their aircraft and I have been told quietly that team Pipistrel have invested almost €500,000 in the Taurus G4 aircraft. Not all this investment has purely been to enter the competition however…. the Taurus G4 has proven to be an extremely reliable testbed for upcoming Pipistrel technology. The new aircraft which is currently under development is the Pipistrel Panthera, the first Panthera aircraft produced will be a gasoline powered engine capable of taking 4 people >1000 miles at 200 knots, the second generation expected 2013 will use the same engine and battery management technology as used in our competition aircraft as a hybrid powered aircraft utilising electric engines at takeoff and landing and the proven Rotax 914 for cruise at altitude, eventually a completely battery-powered version of the Panthera will be released. Anyway, enough for today, we are all off home for a shower, fresh clothes and tonights gala event. Tomorrow’s flight into NASA’s Moffett Field located between San Francisco International and San Jose International airport is going to be great not only for the experience but also the scenery and then the long sleepless night waiting for Monday’s big announcement!…. Who will win the NASA/CAFE Green Flight Challenge 2011 sponsored by Google ? Today he has been a fantastic day!, What started out as grey overcast weather turned into one of the most enjoyable flights in a long time. Departing Santa Rosa at around 9 AM we headed south south-east for the eastern suburbs of San Francisco and then avoiding controlled airspace into Moffett field which is a huge complex made up of the NASA Ames Research Centre. There was a layer of broken cloud at around 2000 feet and above and cruising just below 4000 feet was a perfect photo opportunity to take photos and video of that Pipistrel Taurus G4. The background was absolutely stunning and the video we have taken is breathtaking with the background, lighting and reflections of the aircraft being perfect. I would love to get some of this footage uploaded to the blog but a connection which is slower than dial up will not allow me to do it today so unfortunately this footage will come later. This place has to be seen to be believed! One of the hangars is the largest freestanding structure on earth covering more than eight acres! Unfortunately it has not been used for some time and seems to be in the process of part-time demolition. Built of steel and toxic things like asbestos it has remained empty for many years, I was also told he can never be used again because it doesn’t meet current earthquake standards. In my opinion it is a tragic waste and would make a great Aircraft Museum. There is also mention of this and now underused facility being used for the 2020 world Expo event but because of the asbestos contamination it now looks unlikely. It is almost like a scene out of one of the disaster movies, there are buildings everywhere and very few people, this once would have been an active base to what I am guessing would be at least 10,000 people. Tonight we are housed in what is called the NASA Lodge…. This is a multiple complex of buildings which ones have served active military use as almost motel like accommodation. Adjoining Moffett Field is the NASA Ames research facility which is still active and open today. I am told it has the world’s largest wind tunnel which is approximately 80′ x 120′, it also has a smaller wind tunnel which is capable of supersonic speeds. This whole area just reeks of history, there would be so many stories to be told in the history of this facility in the 75 years since it was built. Next to our lodge and just a short walk is locked up recreational centre, a bowling alley and so many other sporting facilities for the base members…. today, the active areas are lovingly manicured at the disused areas are slowly being overrun with long grass. Just outside the front gate is a vast array of Silicon Valley companies including the most famous “Google” which are a sponsor of this year’s green flight challenge. A quick look on Google Earth shows multiple massive buildings just a few kilometres from the Moffett Field front gate and I am also told that Google is the only private aircraft allowed to fly at this airfield. Apparently, the cofounders of Google each have a 747 and various other jet aircraft available at their disposal in some of the large hangars on the opposite side of the airfield. Apparently, hangerage for their aircraft is $1.3 million per year ! (that is the most expensive hanger fees I have ever heard of). Tomorrow’s programme starts at 7 AM with breakfast and then the Expo starts at 8 AM, open to the public it gives an equal opportunity from people in San Francisco and also in San Jose a perfect opportunity to visit the aircraft, check out the new electric technology and also ask questions of the pilots and engineers. Just before 12 PM (lunchtime) we get rushed off into a special exhibition area for the announcement of the winning teams from this year’s competition. Another sleepless night lays ahead as the excitement builds waiting for the announcement of the winning aircraft at this year’s Green Flight Challenge….. I have been told that NASA will be covering the presentation live on NASA TV and I will do my absolute best to get the winning aircraft information published as soon as I can! Wow….. two years of planning, 12 months of design and six months of building and now we are down to the last few hours. The weather is perfect today, it is dead calm, clear blue sky with a very light overcast on the horizon. Already there are several hundred people in attendance and it is only 8:30 AM local. As I look across the car park there are probably 30 or 40 exhibitors displaying electric orientated equipment. Out on the flight line all of the competitors aircraft are lined up in a row with the ever watchful security guards maintaining supervision. Today will be a great day, historic in every respect. It was only a few years ago that electric aircraft first flew at Oshkosh, a single seat aircraft with a total endurance of around 45 min at only 60 knots and in just those few years we have now advance to aircraft like the Pipistrel Taurus G4 which can carry four people, can cover more than 300 miles at a speed greater than 100 mph… The rate of advancement in just a few years is really encouraging, so much so that I believe true electric flight to the public could be available in as little as four or five years. In a little under four hours our team will discreetly depart for the NASA Conference Centre for the big announcement of the Green Flight Challenge 2011 competition…. more information and video to follow shortly…. And the winner is…… PIPISTREL ! Wow, we won $1,350,000 the richest prize in aviation history at OVER 400 MPG…. Well done more info to follow shortly ! Yeee Haaa well done team ! On December 17, 1903 Orville Wright flew 120 feet in 12 seconds. Two years later at Huffman Prairie, near what is now Wright-Patterson Air Force Base, their flights covered 20 miles and lasted over 30 minutes… What amazing progress. In 2008 at the Experimental Aircraft Association convention at Oshkosh Larry Fishman’s battery powered Electraflyer C was first flown publicly. Cruise speed of this one person airplane was about 70 miles per hour and endurance was about 45 minutes. 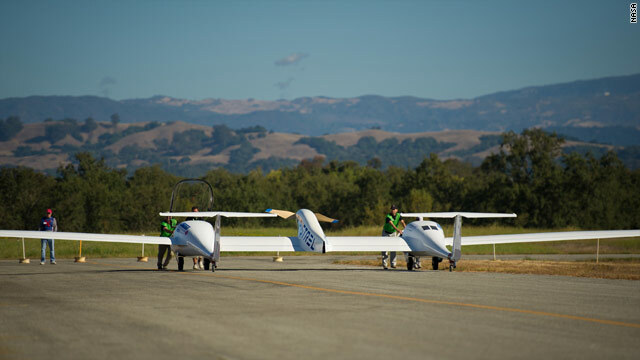 Now in 2011 at the Green Flight Challenge two electrically powered aircraft, the eGenius and the Taurus G4, flew 200 miles at well over 100 miles per hour. The eGenius did this carrying two pilots, the Taurus G4 did this carrying two pilots and two sacks of concrete representing two additional passengers, for the equivalent energy consumption of 405 passenger miles per gallon. Together we have shown that electricity is a viable, and in fact a beautiful, way of powering aircraft. When our airplanes fly by only two thousand feet overhead we can’t hear them. There are no emissions as they fly by, and at the GFC the power used to charge our batteries came from a geothermal plant, powered by nearby geysers. I pay about 8 cents for a kilowatt hour of electricity, which means it costs around 7 dollars to fly the Taurus G4 for over two hours. Compare that with the cost of 2 hours worth of aviation gasoline for a 4 passenger airplane, and compare the environmental impact of that geothermally generated electricity with the impact of burning several gallons of aviation gasoline. We are witnessing and participating in the birth of personal air travel that is both affordable and truly green. There are many people building electric airplanes in start-up companies, in small businesses and in their garages around the country. We must encourage this and we must ensure that we continue to push technology forward. Team Pipistrel-USA.com believes that technological progress comes from bold vision and great challenges. If NASA, Google, and the CAFE Foundation accept the challenge, Pipistrel will contribute $100,000 to a prize for the first electric airplane that can fly faster than the speed of sound. We fully expect that someone will win this prize within the next 5 years. From first flight in a battery powered aircraft to supersonic flight in under a decade: Won’t that be amazing? We are all incredibly proud of being a part of what we expect to be an enormous change in aviation. We congratulate all the teams on their achievements, and we all thank NASA, Google, and the CAFE Foundation for enabling this historic competition, and we look forward to the future of electric aviation with tremendous excitement and anticipation. Co-founder of Google Larry Page shows interest in the Pipistrel G4 aircraft at Moffett Field. Larry has previously visited the Pipistrel factory in Slovenia and shows a keen interest in electric aircraft & vehicles – Footage courtesy of Denis from POP TV Slovenia. “We are happy to have had the opportunity to raise the limitations of the electric flight one step higher. What was science fiction three years ago is reality today! Pipistrel has proven that at the moment, aircraft industry has far overtaken the automotive industry – no car in the world is capable of driving 250 miles with the average speed higher than 100 miles per hour and the fuel consumption of less than one gallon per passenger – what is more, we did this regardless of the weight limitations in aviation and despite huge founding that the automotive industry has. The second place was claimed by the team E-genius of the University in Stuttgart. This means a double victory for Pipistrel, who has been team E-Genius’s development partner. Their aircraft is actually a modified Pipistrel Taurus (wings and fuselage) with a specially developed tail section and an electric propulsion system in the tail. So in a way, Pipistrel’s aircraft claimed the first and the second place! Pipistrel’s philosophy has always been to set a goal TOO high and then strive to achieve it. Therefore they have challenged the NASA, CAFE foundation, Google and the entire global aviation industry!! Pipistrel will donate a part of their 1.65 million prize money towards the prize for the next challenge, the objective of which will be to produce a supersonic electric aircraft! To conclude, Pipistrel would like to thank the entire team of developers – without your knowledge and hard work, the world’s first 4-seat electric aircraft would not fly! Thanks to all the Pipistrel employees for their support and hard work, to the organizers for the wonderful and well-prepared competition, to the judges for the job done fair and well and to all the other competing teams. Thanks to everyone who helped this project in any way and lest but not the least – thank YOU for your support and kind words! The plane developed doubled the fuel efficiency requirement for the competition – flying 200 miles in less than two hours while using less than a gallon of fuel per occupant or the equivalent in electricity. The winning plane used a little more than a half-gallon of fuel per passenger for the 200-mile flight. The winning aircraft, the Pipistrel Taurus G4, is a four-seat, twin-fuselage aircraft powered by a 145-kilowatt brushless electric motor driving a two-blade propeller mounted on a spar between the fuselages. The plane’s wingspan is about 75 feet. “I’m proud that Pipistrel won. They’ve been a leader in getting these things into production, and the team really deserves it, and worked hard to win this prize,” Raymond said in a NASA statement. “Electric aircraft have moved beyond science fiction and are now in the realm of practice,” Joe Parrish, acting chief technologist at NASA headquarters in Washington, said in a statement. High Res available for press if required. The Taurus G4 flew at an equivalent fuel efficiency of 403 passenger miles per gallon at a speed of 107 miles per hour. This is both twice as efficient and twice as fast as a Toyota Prius! The EPA rated fuel efficiency of a Prius is only 50 miles per gallon at 55 miles per hour, which results in only 200 passenger miles per gallon if all the seats are occupied. Its fuel efficiency at 100 miles per hour is not something that I would like to test (and I definitely do not encourage anyone to try it)! Both eGenius and Pipistrel-USA.com have shown that battery powered electric flight is feasible for general aviation aircraft, and we have shown that tremendous improvements in fuel efficiency are possible. Embry-Riddle Aeronautical University showed that hybrid gas-electric propulsion is feasible, and did this with a team consisting entirely of students. This has been the most rewarding project of my career. Ivo Boscarol, the owner of Pipistrel, has tremendous vision for the future of general aviation and he has put together a tremendous group of people. Working with the engineers at Pipistrel (Tine Tomazic, Jure Tomazic, Franci Popit, Gregor Veble and Vid Plevnik) was fantastic, and I am looking forward to continuing our work together. The trust that they have in each other is incredible to see, and it was clear that everyone had earned this trust through mutual hard work and entrepreneurial spirit. No request was impossible to fulfill, but you could tell how hard it would be by counting the seconds between the question and the “OK, I can do that.” Under one second meant it was easy, anything over 5 seconds meant it would be tough. But it always got done. Our pilots, Dave Morss and Robin Reid, were absolutely critical to our success. Their professionalism and focus on the mission helped all of us stay exactly on task. None of us engineers wanted to be the one to disappoint Dave and Robin, and we all spent many hours burning the midnight oil to ensure that we lived up to the trust that they placed in us. Hearing Dave’s stories (both flying stories and teenage shenanigans!) helped pass the three days between the last flying day and the announcement of the winner. We had tremendous help from people all over the United States. I’m an Assistant Professor in the Department of Aerospace Engineering at Penn State University. My department head, George Lesieutre, continued to encourage and support my participation throughout the project. My colleague Mark Maughmer provided great contacts with many people, and he was a great sounding board for ideas. Mike Robison of Central PA Soaring was essential for both certification and test facilities. We also owe thanks to Tracey Peters and Larry McCarl of Mifflin County Airport; Tim Welles and Chip Garner of ClearNav Instruments (the special GFC Update of the ClearNav software was a huge help! ); and finally Penn State’s Office of Physical Plant for organizing the crane to unload the container when the Taurus G4 arrived at Mifflin County Airport. Brian Stauffer and AJ Deng of Penn State’s Department of Meteorology provided high resolution wind field predictions over the competition area, and this allowed us to plan optimal flight trajectories. My graduate students Anjan Chakrabarty and Kirk Miles were a huge help. Both of them spent many hours writing the flight planning software and generating the flight plans that we used in the competition. During the first three laps of the miles per gallon flight on Tuesday, September 27 the actual energy consumption was within 1% of that predicted by the flight plan! In a separate post Tine Tomazic will talk about the aircraft’s time at Oshkosh and expand on my comments. In Hollister, California Gerry Gabe made room in his hangar for us, and provided dozens of connections that helped us get things done. At Santa Rosa, California the aircraft spent two days at the Santa Rosa Jet Center before going to the CAFE Foundation campus. We thank everyone at the Santa Rosa Jet Center for their help. We thank all the volunteers from the CAFE Foundation and EAA Chapter 124, especially Bruno Mombrinie (now we all know what a brown recluse looks like- fortunately we never actually saw one). Jack Langelaan and Team Pipistrel were awarded a 3-foot-tall sculpted trophy from CAFE Foundation along with more than $1 million for winning the NASA Green Flight Challenge. Of the $1.65 million dollars available from NASA, Team Pipistrel was awarded $1.35 million and e-Genius $120,000. Dr. Brian Seeley, president of the CAFE Foundation, said of the competition, “Our vision is to bring forth future air vehicles that are emission-free, safe, and can land anywhere – to basically do what birds do.” Seeley also called EAA Chapter 124 member volunteers the “backbone” of the event, which took place at Sonoma County Airport in California. It was a smooth competition for Team Pipistrel with only a flat tire taxiing out, but the team had a spare on hand and changed it out very quickly. Morss reports that the G4 stalls at less than 52 mph, and is very benign in the stall. For the first 15 to 20 flights they landed at 60 mph, but they now land a little faster to make the landing easier since there’s no suspension on the landing gear. The winner of the NASA Green Flight Challenge was announced Monday during the Green Flight Expo at NASA Ames Research Center at Moffet Field. Google, which has been doing extensive research with electric cars, sponsored the first-ever electric aircraft charging station, which supplies electricity from geo-thermal energy, as well as other portions of the event. Dave “Batman” Morss kicks back in the Pipistrel Taurus G4 with Sport Aviation during the battery run-down test. Besides the top two finishers, which were electric aircraft, the Rotax-powered Phoenix competed in the event and was the only aircraft to fly in by itself. Embry-Riddle’s EcoEagle participated as an exhibition contestant. The competition wrapped up Thursday with a final weigh-in for gas-powered aircraft and a battery run-down test for the electric aircraft. The electric aircraft needed to show a 1/2-hour reserve and each aircraft was ground-run at half throttle to demonstrate this requirement. The effort to win the NASA competition has delayed progress a few months on a new aircraft being developed, the four-place Panther, according to Tine Tomazic, a technical coordinator for Pipistrel’s research and development section. The company is building two aircraft, one with piston power, the other with electric, aiming for first flights early in 2012 prior to display at AERO Friedrichshafen. Pipistrel has placed a high priority on bringing the Panther to Oshkosh but have not decided if the Taurus G4 will make the trip as well. NASA Press conference announcing Pipistrel the GFC 2011 winner at Moffett Field AMES research center. The lead quote is informative, as are some figures from the release. “The competition resulted in the world’s most efficient aircraft, beating the state of the art of approximately 100 pmpg (passenger miles per gallon) which is achieved by the newly released Boeing 787 airliner. Essentially this contest showed the ability of small aircraft to achieve twice the efficiency of the most efficient production automobiles today, while traveling at over twice the speed. Steve Williams, CAFE Foundation board member and e-totalizer guru, released the final results for the NASA Green Flight Challenge sponsored by Google, held at the Charles M. Schulz Sonoma County Airport from September 25 through October 1, 2011. Figures show a profound difference between the two electric winners and the two gas-powered and hybrid runners-up. All competitors flew extremely clean motorgliders with demonstrated lift-to-drag ratios between 25:1 and 35:1. Possible explanations for the large differences in energy use include low cooling drag for electric aircraft and the efficiency of electric motors – but the differences are still surprising. Note that a little over 11 US gallons of gasoline (energy equivalent) were used to fly seven people (Embry Riddle’s Eco-Eagle flew with only one pilot) over a total of 725.5 miles (Embry Riddle flew a shorter total distance on both “runs”). This is an enormous achievement for all concerned and a significant increase in efficiency over even the best general aviation craft available today. Congratulations are in order for everyone who participated in making this event a grand success. Preverjeno is Slovenia’s most viewed weekly magazine TV show. It attracts close to one half of all TV viewers each Tuesday and is known for it’s in-depth coverage of important events. This video features the team and its triumph. I just watched the video of the team’s return to Slovenia. It was an astounding contrast to my visit to them in Hollister. I was there for the last flight of the twin Taurus G4. There was just me – no other visitors – they had just won the prize and there was no one there but me. I was at the last big National Air Race in Cleveland, 1947, maybe. There were several hundred thousand spectators there. What a contrast! I have no idea how disruptive electric propelled flight will be, but surely it interests more than just me. Congratulations to the team! They’ve shown they can do things none of the other 7 billion folks in the world can do!